San Francisco (August 29, 2018)— The National Association of Commissions for Women (NACW) presented a 2018 Achievement Award to the San Francisco Department on the Status of Women and its partners in the Healthy Mothers Workplace Coalition, including the Department of Public Health and Legal Aid at Work. “I am thrilled to receive this prestigious national award on behalf of the Coalition,” stated Dr. Emily Murase, Director of the Department on the Status of Women. The NACW identified the Healthy Mothers Workplace Recognition Program as an exemplary model for promoting the well-being of women and their families. Having a healthy workplace for mothers matters. According to the Department of Labor Women’s Bureau, 70% of mothers with school-aged children are in the labor force. Of these, 75% work full-time. And there has been a sea change in primary breadwinners. Compared to 1960, when just 11% of primary breadwinners were mothers, today 40% of mothers are the primary or sole breadwinners in their households. The Healthy Mothers Workplace Coalition, composed of government agencies, nonprofits, community advocates, and employers, seeks to improve working conditions and perinatal healthcare through education, public policy, and an annual recognition program for employers who demonstrate excellence in promoting health and gender equity. 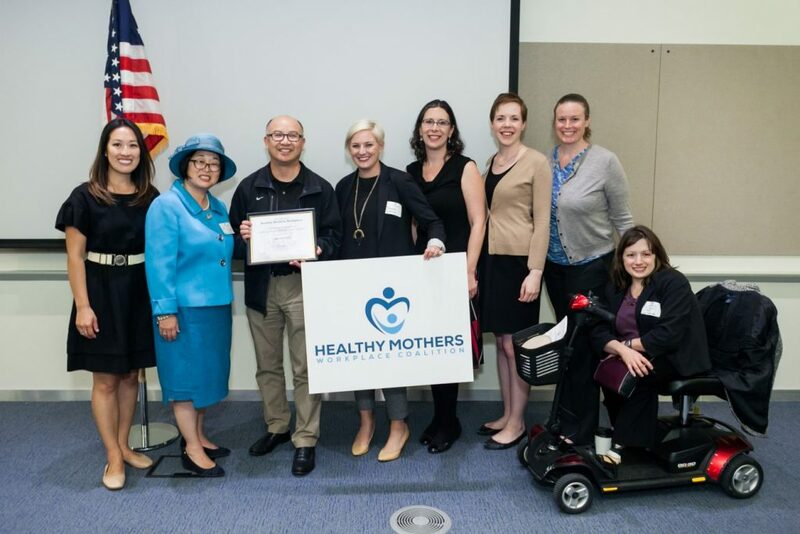 The Healthy Mothers Workplace Coalition is now accepting applications for its 2018 recognition program! To participate, San Francisco employers should complete a short self-assessment by September 30, 2018, describing how their workplaces support families. Depending on the level of support offered, all employers will receive a Bronze, Silver, or Gold Healthy Mothers Workplace Award. Honorees will receive a certificate signed by the Mayor of San Francisco as well as a decal and digital badge to identify their workplaces as among San Francisco’s best workplaces for families at an awards ceremony on October 30, 2018.